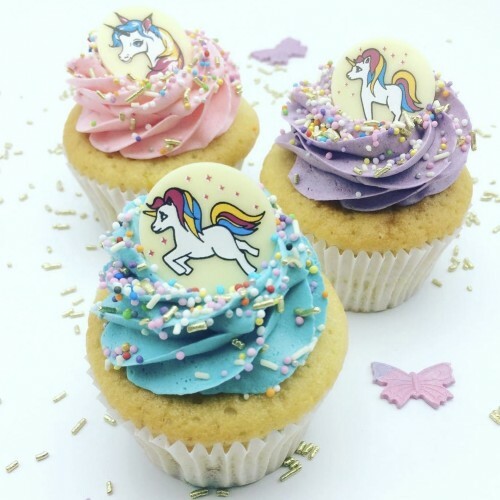 Super cute vanilla Unicorn cupcakes decorated with colorful swirly frosting and white chocolate Unicorn discs. SKU: N/A. 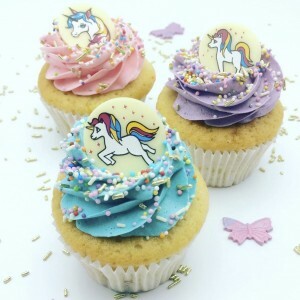 Category: THEMED CUPCAKES.